Ok, one recipe at-a-time for YRTML (Your recipes through my Lens) is not-working for me as I already have so many of them. It would take months to finish posting the ones I have. So, here you have - two delectable recipes which absolutely made my day. There are very few recipes when I see a shiny *glitter* in TH's eyes. He is a simple man. No fancy meals needed to make him happy. Since, I knew he loved chutneys, one day I made Sala's (with whom I had the pleasure to cook at Karma's Kitchen, DC) 'Twice cooked Tomato Chutney' & Yes folks, I did get to see his tiny blue eyes (ok, not exactly blue, black) sparkle with satisfaction. This chutney was just yummilicious. Did I ever tell you that Cabbage is my most favorite vegetable. 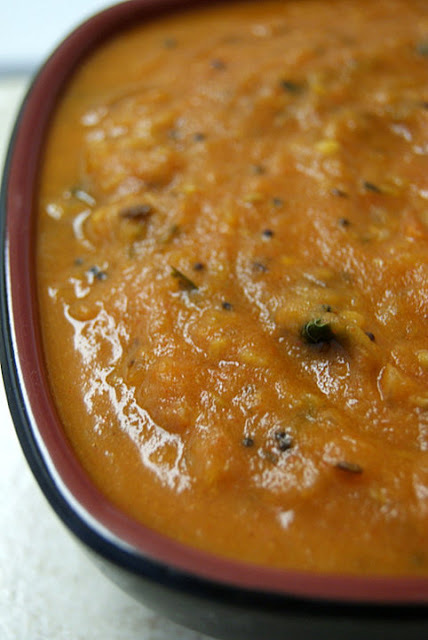 We both simply love it and am always in quest for different cabbage recipes, across cuisines. If you know any such dishes, please leave the URL as a comment (no fried foods please). I would love to check it out and give it a try. 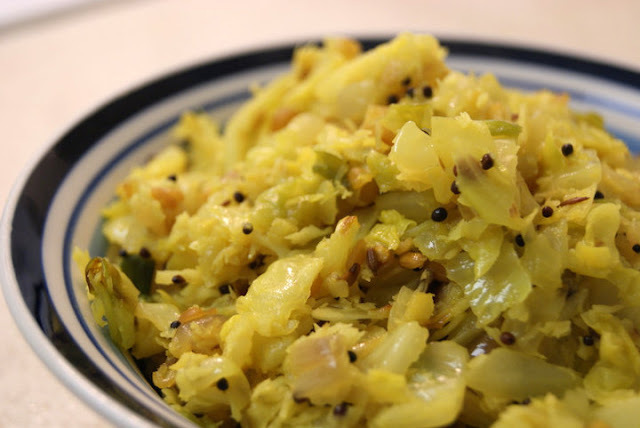 With some grated ginger and finely minced chillies, this Cabbage Upkari recipe is from DK's site, who is my best gal-pal and I will be for-ever thankful to blogging because of which I met such a beautiful person, in-person. :). Both dishes looks super delicious..
aawww.you areso sweet! totally loved cooking with you at KK! Cabbage curry looks great too ! !